Thousands of political, business and cultural leaders are heading now towards Davos, Switzerland, to attend the World Economic Forum. On the eve of the world’s biggest annual gathering of the rich and powerful, the International Monetary Fund released its newest world economic outlook. What are the forecasts – and their implications for the gold market? Well, the title of the IMF’s update is telling: “A Weakening Global Expansion”. The global economy is projected to grow at 3.5 percent this year, 0.2 percentage point below last October’s projections and estimated performance in 2018. The revisions carry over from softer economic momentum in the second half of 2018, in particular in Germany, due to the problems of the automotive industry, and in Italy, due to the worries about sovereign and financial risks. Moreover, the experts acknowledge now the weakened financial sentiment and project deeper contraction in Turkey than previously anticipated. What is the most important for the gold market, the U.S. economic growth is expected to decline to 2.5 percent in 2019 (unchanged forecast from October) because of the unwinding of fiscal stimulus and further monetary tightening. The slowdown in America may push some investors into gold’s arms, although, given the sluggish growth in Europe, US dollar-denominated assets still look attractive. Last but not least, an important risk for the global economy is the possibility that China’s growth slowdown could be faster than expected especially if trade tensions continue. And, of course, Brexit is a big question mark (the U.S. federal government shutdown, if protracted, also poses a downside risk). Gold is a safe haven, so it welcomes rising risks. The recent IMF’s world economic outlook projects slower economic growth amid rising risks. The report is in line with the World Bank’s report released earlier in January, which also said that “the outlook for the global economy in 2019 has darkened.” (see the chart below). 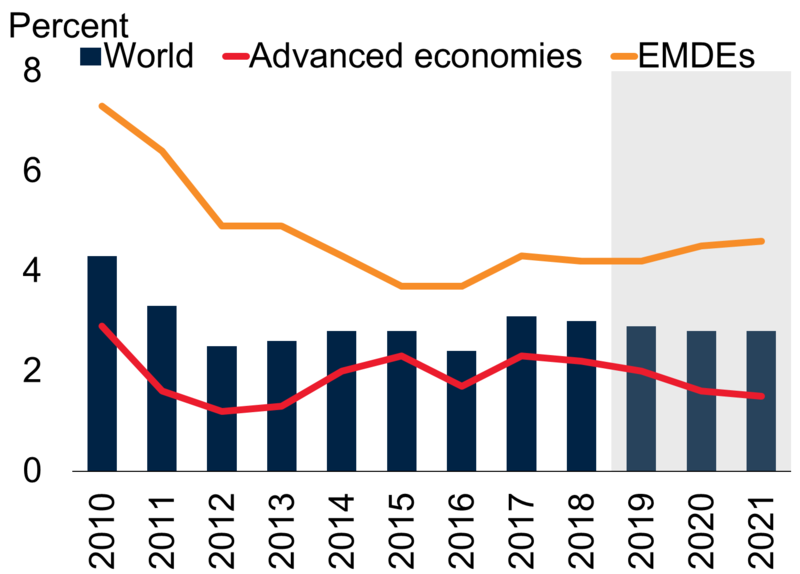 Chart 1: Actual and forecasted global growth for the world (bars), advanced economies (red line) and emerging markets and developing countries (orange line) from 2010 to 2021 (source: World Bank). What do all those gloomy forecasts imply for gold? Well, a lot. You see, we had a solid expansion in the last two years. Now, the world economy is growing more slowly than expected while downside risks are accumulating. It seems to be an excellent combination for gold, which should shine in a sentiment unfriendly toward risky assets. To be clear, the slowdown is not the end of the world. There is no global recession around the corner. But, as we argued in the January edition of the Market Overview, 2019 may still be better for gold than 2018. The risk of a sharper decline in global growth has increased, after all. In particular, China’s economy may negatively surprise us, as it transforms itself structurally amid trade tensions and high debt burden. According to the official data, the economic growth was 6.6 percent in 2018 – the slowest pace since 1990. And many economists do not trust the official figures, claiming that China’s economy is actually more anemic (we will write more about China in the February edition of the Market Overview). As it was the case in 2015-2016, concerns about the Red Dragon’s health can trigger abrupt sell-offs in financial markets. Gold should shine, then.